Imagine hearing people’s thoughts! Now you know what it’s like to be Carl. He is a teacher, author and mentalist who plays with language, psychology and non-verbal cues to entertain audiences. As a socially awkward teenager, Carl became interested in reading people’s minds. He made an intense study of psychology and became a professor at La Sierra University. Standing in front of a room full of students each day gave Carl plenty of opportunity to play with people’s minds and hone his psychic powers. After years of study, he transcended the world of academia to become a master mentalist. Carl is a member of Hollywood’s famous Magic Castle and The British Society of Mystery Entertainers. In recent years, he has become a remarkably popular entertainer at upscale venues and colleges across the country, where audiences marvel at his ability to get inside their minds. Mind Reading Stage Show: This show is perfect as the centerpiece of your party or meeting. 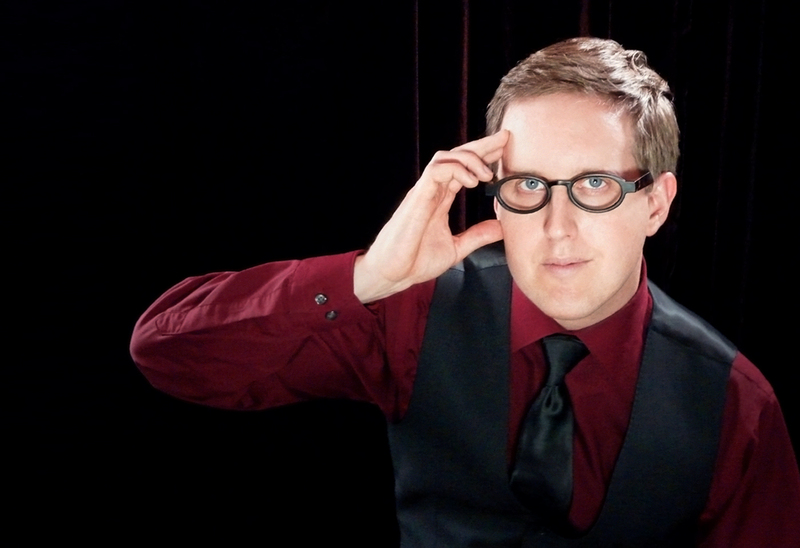 Carl combines magic, mind reading and comedy in an audience centered exploration of the mind. Memory & Intuition Lecture: Carl combines his experience as a communication professor, with his study of mentalism to give students a unique way of improving their memories and making better decisions. Reading People & Persuasion Lecture: Carl shows audiences how persuasion really works and how to read people like a book. Want to talk with us about Carl Christman?